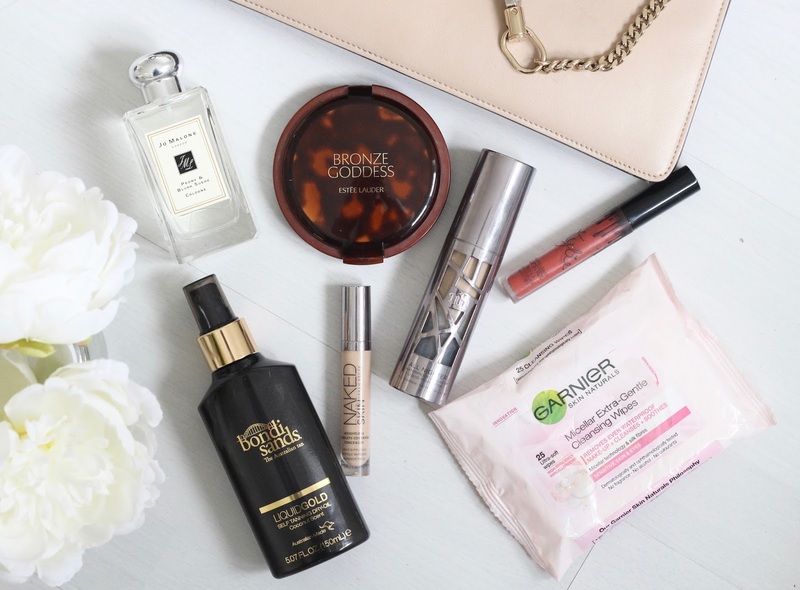 I haven't done a favourites post in a while so I thought it was about time I shared some of my current beauty faves. The reason I haven't done a monthly favourites post over the past couple of months is because I've been so busy moving house and any beauty samples I've been sent to try are all boxed up waiting to be put away when our rooms are all sorted with furniture and what not. I can't wait for it all to be sorted out and for everything to be in its place - I'm so inpatient. 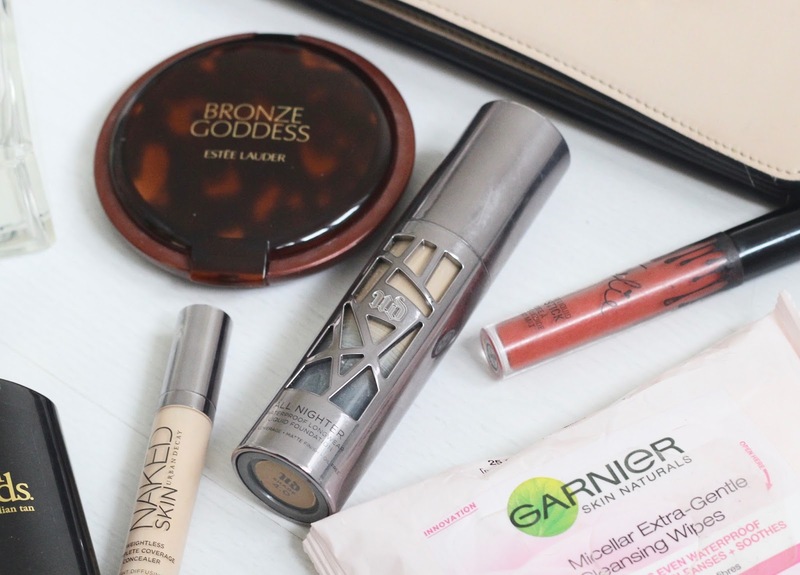 Anyway, here's the products I've been loving recently - they've been my go-to's whilst everything else is packed up. Kylie Jenner '22' Lip Kit; I’m a big fan of the Kylie lip kits and if the shipping / custom charges weren’t so pricey, I’d probably own them all as I actually think they’re really good value for money. They’re insanely pigmented, really long lasting and they’re fairly comfortable to wear too considering they’re so matte. I currently own five of the shades but my absolute favourite and the one I’ve been reaching for the most would definitely be 22 which is a lovely vibrant orange-toned red. I personally love these kind of shades (MAC’s Lady Danger is another fave orangey red) as they’re really flattering and instantly brighten up my complexion. I’ve actually got Kylie’s ‘Ginger’ lip kit on its way to me which is another orange shade so I’m hoping I’ll love that one just as much! 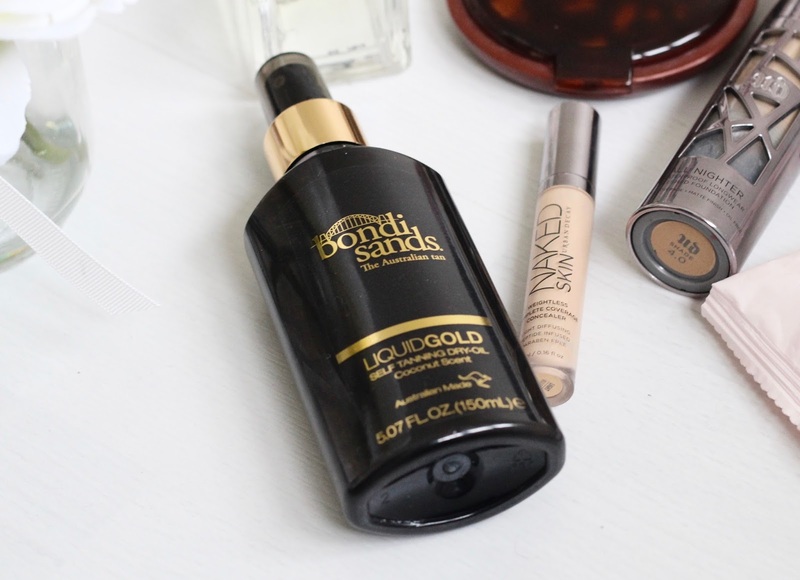 Bondi Sands Liquid Gold; I'd heard so much about this tan and after using the Bondi Sands mousse and loving it, I thought I'd give this one a try too. I usually always go for a mousse over liquids or creams as I find them much easier to apply but despite this one being a liquid (or a dry oil as they refer to it), it's easy to apply, goes on smooth and streak free and dries almost instantly so you can get dressed and carry on your day as normal. Unlike most fake tans, this one doesn't need washing off, it just develops over 2-3 hours after application and lasts for up to a week. I found the colour really natural looking and it fades nice too - no patchiness, yay!! 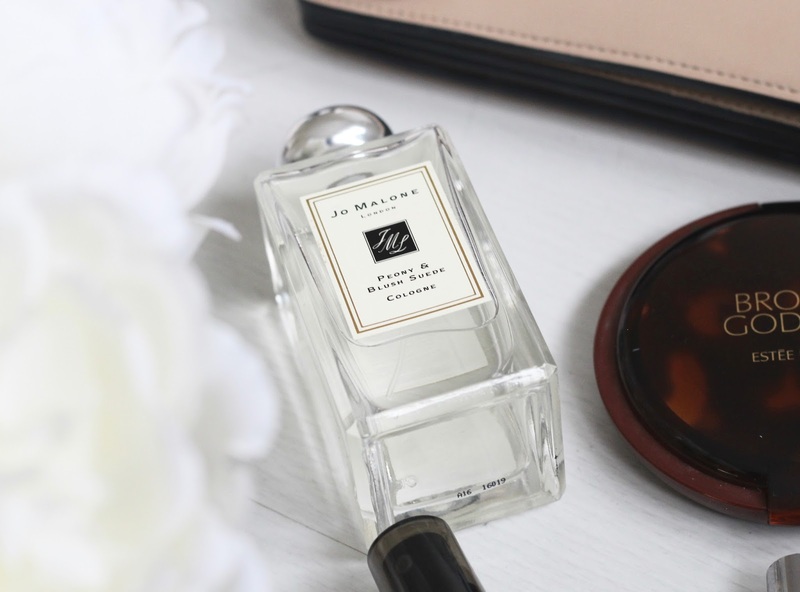 Jo Malone Peony & Blush Suede; I am completely in love with Jo Malone and their products. Seriously, if I was made of money, I’d own every single one of their products. There’s something about them that’s so luxurious - I love the classic square glass bottles and simple branding - it’s just beautiful! My favourite of all their products would of course have to be their cologne and my most recent addition is Peony & Blush Suede which is one I’d heard so many good things about so I’m so pleased I’ve finally got it in my collection. It's a very feminine floral scent but also has a freshness too it so it's perfect for both day and night. 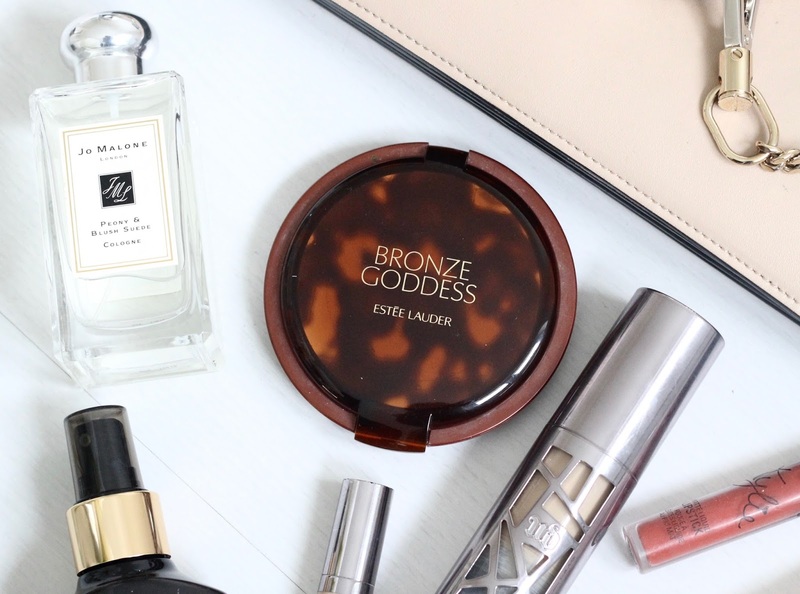 Estee Lauder Bronze Goddess Bronzer; For me, bronzer is an essential part of my makeup routine. It's that one product that finishes off a look and ties everything together nicely. This one in particular is quite orange toned so I don't use it to contour with but do dust it all over my face to give my skin that healthy sun kissed glow we all long for when the natural Summer holiday tan has faded. As you can see, this is a huge powder but I like that about it as it's got a big mirror so is great for travelling and doing makeup on the go which I tend to do a lot these days. It blends really well and I find you can't use too much as even when I apply a lot, it still looks natural. I've had quite a few compliments from people saying how tanned I look whilst wearing this bronzer. Just because it's grey and dull outside at the moment, it doesn't mean our skin needs to be. Urban Decay All Nighter Foundation; This is hands down one of, if not THE best foundation I've ever used. I'm so fussy when it comes to foundations as there's so many things I look for such as good coverage, a flawless finish that isn't too dewy (aka greasy face) or too matte (aka cake face) and staying power. A lot of foundations I've tried in the past just haven't had that perfect combination but this one from Urban Decay has got the lot. It has a full coverage without being too heavy and it covers all imperfections like redness, pimples and under eye circles. It's almost like a foundation and concealer in one as I don't feel the need to use a concealer when wearing this. 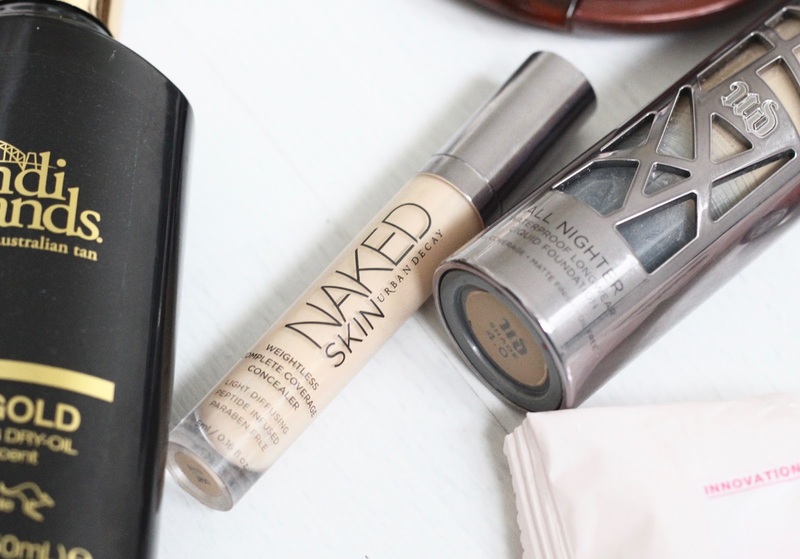 Urban Decay NAKED Skin Concealer; Another Urban Decay item that I'm absolutely loving at the moment is this concealer as it's perfect for brightening the under eyes and highlighting with. I apply it in a V shape under my eyes to give me that bright eyed Kim K look, down the centre of my nose and a little bit on my forehead and chin. I have the shade Light Warm which has a yellow tone and it really helps to brighten my complexion, blends well, covers any imperfections and lasts all night. I like to use it with the foundation above for a glam night out as it really does create a flawless look. 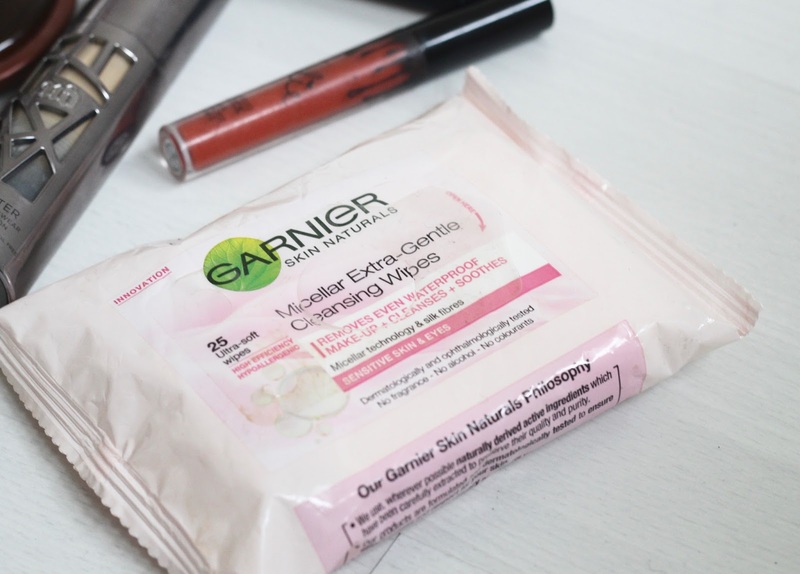 Garnier Micellar Cleansing Wipes; I realise face wipes aren't the most interesting of beauty products and some people don't like to use them at all but these ones are actually so lovely. I must admit, I can be quite lazy when it comes to my skincare - I just can't be bothered with a laborious routine so if I'm tired or in a rush, I usually use one of these wipes and some moisturiser. Probably not ideal but my skin is in a fairly good condition so it can't be doing it too much harm. Most wipes I've ised in the past don't thoroughly cleanse the skin but theses ones really do remove every scrap of makeup and leave my skin feeling clean, soft and refreshed. They don't leave that awful fight feeling like most wipes either. They're basically the Micellar Cleansing Water (which is also a great product) in wipe form which just makes it that little bit quicker and easier for on the go use. Let me know which products you've been loving lately. Have you tried any of these ones?! I use UD naked skin but would love to use all nighter for when I'm going out and need something to stay in place. thanks for the review! I lobe the urban decay concealer! The best in the game!!! I've heard good things about the tarte shape tape concealer as well. Amazing photos and article too, of course :). I would love you to do a full review of the UD All Nighter foundation. Love your choices! I myself, am so lazy when it comes to skincare routines so I completely relate to the idea of not being bothered to spend time on my face when I'm tired. 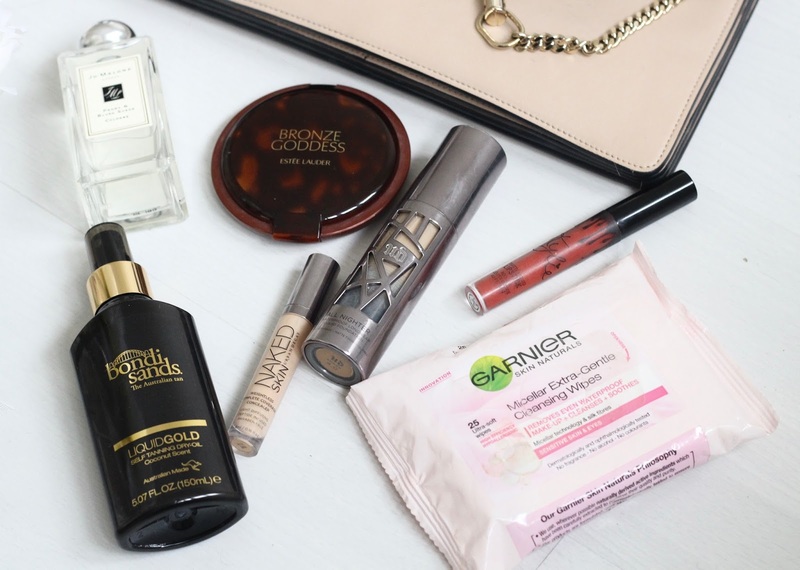 I've used the Garnier micellar water wipes before and I think they're AMAZING! I love them too! 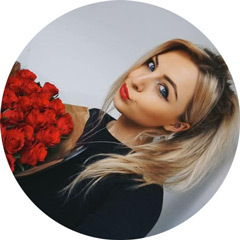 Amazing favourites! I've heard so much about the Estee Lauder Bronze Goddess, really want to try it out. I love the micellar water but never tried these wipes. Are they just as good? Great post! I love big bronzers. Now I have one from Clarins which I love. I may have to try that foundation since I want the same things from foundation as you do! I'm a major devotee of the Kylie lip packs and if the transportation/custom charges weren't so expensive, I'd likely claim them all as I really believe they're better than average esteem for cash. They're madly pigmented, truly durable and they're genuinely agreeable to wear too considering they're so matte.